Trinity College Professor Rose Anne Kenny has been invited to present insights from the Irish Longitudinal Study on Ageing (TILDA) at the World Health Summit 2014 in Berlin this week. The World Health Summit is the annual conference of the M8 Alliance of Academic Health Centers, Universities, and Academies of Sciences, which brings together decision-makers from 80 countries to discuss pressing issues facing healthcare systems. TILDA provides a comprehensive analysis of the experience of ageing by studying a nationally representative sample of 8,500 people aged 50 and over in Ireland, offering an accurate picture of the characteristics, needs and contributions of older people. TILDA is being recognised internationally for catalysing research findings to inform social, economic and healthcare policies, in addition to transforming clinical practices in Ireland. TILDA data has enabled innovations in technologies in addition to fundamental research into the ageing processes and diseases. Launched in 2006, TILDA provides the evidence base from which to make appropriate healthcare and policy decisions to ensure successful ageing. 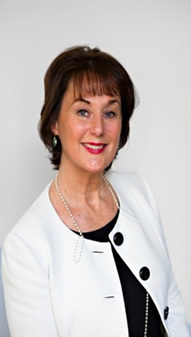 TILDA findings have improved clinical practices and assessments in Irish medical facilities, including the Mercer’s Institute of Successful Ageing at St. James’s Hospital, which utilises its data to transform patient assessments and healthcare approaches in heart health, bone health, falls and syncope, stroke, incontinence, brain health, and mental health. TILDA's findings are foundational to a number of national policies including the Healthy Ireland Framework, the National Positive Ageing Strategy, and the Dublin Age Friendly City Strategy. TILDA data has also influenced recent high-profile studies including the Long-Term Economic Impact of Childhood Sexual Abuse on Survivors by the Economic and Social Research Institute. TILDA’s Obesity in an Ageing Society report garnered significant national attention when it noted that 79 percent of Irish adults over the age of 50 are either overweight or obese. The World Health Summit 2014 enjoys the high patronage of the German Chancellor Angela Merkel, the President of the French Republic François Hollande, and the President of the European Commission José Manuel Barroso. Other notable speakers include Germany’s Federal Foreign Minister Frank-Walter Steinmeier, the 2005 Nobel Prize Laureate in Medicine Barry J. Marshall, Hon. President of the International Olympic Committee (IOC) Jacques Rogge, and Assistant Director General of the World Health Organization (WHO) Dr. Marie-Paule Kieny. Rose Anne will join an international team which includes Professor Elio Riboli (Imperial College London), Ambassador Michael Gerber (Special Envoy for Global Sustainable Development, Switzerland), Professor Lefkos Middleton (Imperial College London) and Professor John-Arne Rottingen (Harvard John F. Kennedy School of Government) for the keynote address on Universal Health Coverage, October 21st from 14.00-15.30pm (GMT +2).